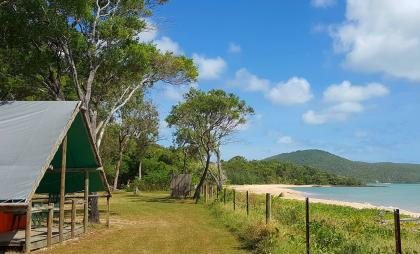 Basic and tidy tent styled cabins with small veranda that are only a stones throw from the beach with a great view of the Torres Strait! #Pricing is per person based - please adjust amount of adult/children/infant for appropriate pricing. No fridge or cooking facilities. CAMPING - Please book by phone if travelling with more than 1 vehicle. 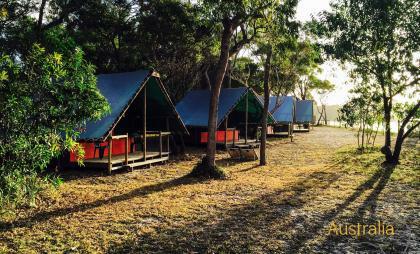 ACCOMMODATION - Please book by phone if requiring more than 1 Room or Cabin.